Are we talking about the latest DC Comics superhero? Almost, but no. 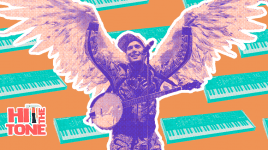 We’re talking about a man who, when asked about his music, replied: “Of course you can’t reinvent the wheel, but you can put 20-inch rims on it.” Sounds good, doesn’t it? Thundercat (Stephen Lee Bruner, Los Angeles, 1984) has music in his blood. His father (Ronald Bruner Sr.) played the drums for Diana Ross, The Temptations, Randy Crawford, Gladys Knight and many others. And along with his brother, drummer Ronald Bruner Jr., he was part of that crossover thrash band called Suicidal Tendencies. That alone was the first chapter of a trajectory that has led him, when he is not yet 40 years old, to play and produce the music of people like KendrickLamar, Snoop Dogg, Kamasi Washington, Flying Lotus, Childish Gamino, Mac Miller or Kali Uchis. As if that weren’t enough, Thundercat has released 3 sensational solo albums. He mixes soul, hip-hop, funk, R&B, jazz and electronica. 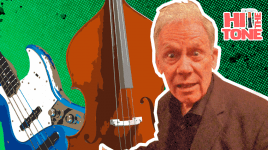 He has been compared to the icons Jaco Pastorius, Matt Garrison or Stanley Clarke. No messin’ around. Fill me in on your tricks, please! That’s just what we’re about to do. To understand why Thundercat sounds like it does, you need to get into his workshop, so let’s talk bass. Although the American usually plays with a signature model that he partly developed with Ibanez, he has admitted on several occasions that he cares more about the instrument being in a certain format than the model itself: “the sixth string gives me a lot to work with; I always thought I’d never play a bass with more than five strings, but the reality is that the sixth has grown on me,” he said. Within that category, the market offers us many options. One of the most in demand is the Harley Benton BZ-6000 NT, which is said to be unrivalled in the market in terms of price/quality. 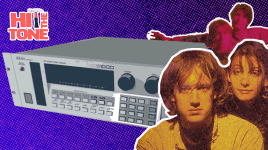 It’s no coincidence that this is the first bass to appear in this article about Thundercat: one of the virtues of the BZ-6000 is its versatility, which allows it to be adaptable to genres as contrasting as acid jazz and pop. For a similar price, €389, we find the Ibanez SR306EB-WK, belonging to the Soundgear Series and equipped with PowerSpan double coil pickups. 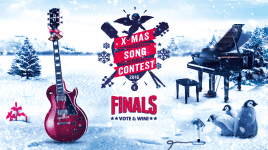 If we increase the budget, we find three very interesting models, with very subtle and detailed finishes: the Warwick GPS Thumb BO 6 NT , the Sandberg California II TM6 BKB or the Ibanez SRMS806-BTT. About halfway, for about €500, is the ESP LTD B206, an option that is at the exact mid-point in terms of price and quality, almost bordering on excellence. Thundercat also tends to lavish on four-string hollowbody basses. In this case, he also opts for Ibanez. The AFB200, which is a new model, seems to be the most plausible option, again, due to its versatility. So that nobody forgets, we’re talking about a musician who goes from soul to funk and hip-hop without blinking an eye. Adaptation to different sound parameters seems to be the selling point for him. A couple of optimal alternatives to this Ibanez model would be the very reliable Harley Benton HB-60 WB and the Höfner Club Ignition HI-CB-SB, much in demand by those who want to remember the Beatles sound and psychedelia, but also by jazz lovers. Bonus tip: As for the strings, Thundercat chooses La Bella, specifically the 0760M, with flat-wound winding. How does this guy sound so BIG? Very big, I assure you. 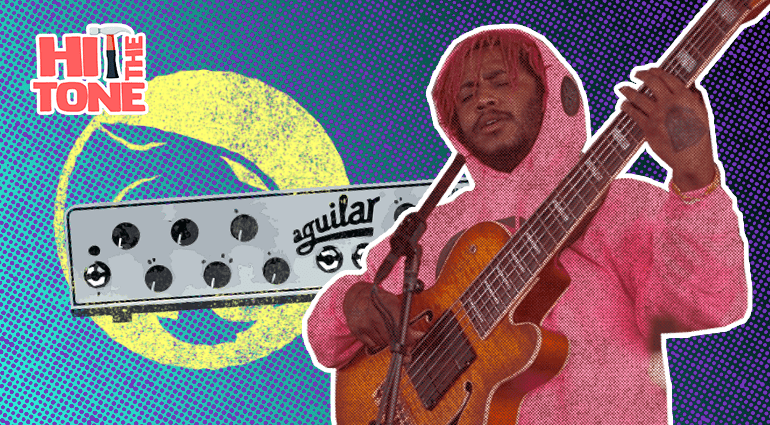 Every time he is asked about his equipment Thundercat repeats that, in terms of amplifiers, he felt he had found his match when he tried Aguilar‘s amplifiers. In the video above you can see him playing with a head of this New York brand, especially notable in the manufacture of bass heads and effects pedals, and known for its intention to apply the most advanced technology in the development of bass equipment. One of its most outstanding models is the Tone Hammer 700, with which the company decided to enlarge -in size and power- its heads. The Tone Hammer 700 is an improvement of the highly recommended (and more economical) Tone Hammer 350 and Tone Hammer 500, with 700 watts of power and a weight of about 2.2 kg. The preamp circuit with equalization controls for bass, middle and treble are the same as in the previous models. On the other hand, the Hammer 700 adds an elegant distortion and a bigger punch in the mids thanks to the Drive button, that allows to control the AGS (Adaptative Gain Shapping) circuit. 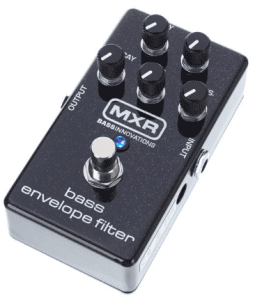 The head includes a serial effects loop, balanced XLR output and two Speakon outputs. So with those basses and those heads I’ll sound like Thundercat, right? Well, I’m afraid not. And we’re not talking about talent – who will we be to judge – we’re talking about the fact that there’s still one key element missing to decipher the Thundercat sound. Yes, the effects pedals. In this video we find Thundercat adjusting a pass filter. This is Moog MF-101, a device so versatile that many bassists stop dragging an entire footswitch when they buy it. 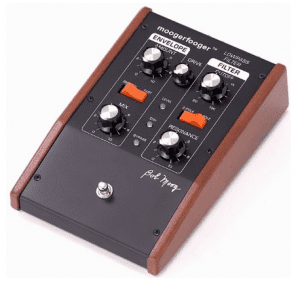 The MF-101 has the mythical Moog filters and a filter sweep envelope tracker, which can be controlled dynamically. 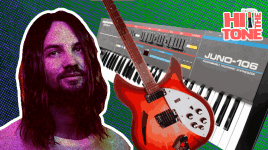 Some people say that Moog changed the music with its synthesizers and that the so-called Moog Sound was created. Well, if that’s true, Thundercat has the Moog sound. Okay, let’s keep talking pedals. 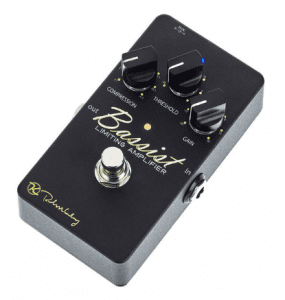 Another staple in the lineup of our beloved bassist is the Digitech Pitch Shifter Whammy Ricochet, which allows to vary the tuning of the instrument in two modes (normal and momentary) and to regulate the time of that change of tuning, which generates the well-known Whammy effect. 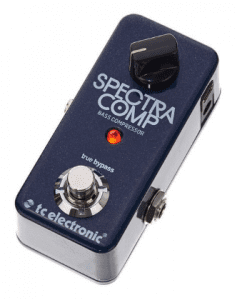 The pedal incorporates seven tone selections and an alternation to select the direction of the change. In addition, it includes a switch that allows the transposition to be stopped and a certain tone to be maintained. One of the characteristics of Thundercat’s sound is the mixture of sounds from the seventies and today’s sounds. In this sense, just listen to his hand in Kendrick Lamar’s monumental album To Pimp a Butterfly. 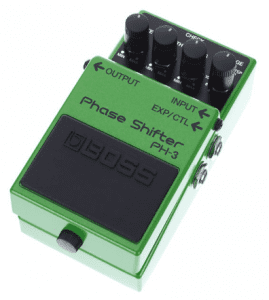 One of the pedals that helps to achieve this beat is the Boss PH-3, which recovers the classic tremolo effect of the 60’s synthesizers. To do this, it uses a low frequency oscillator (LFO). The LFO waveform allows you to choose from a variety of classic tones generated. 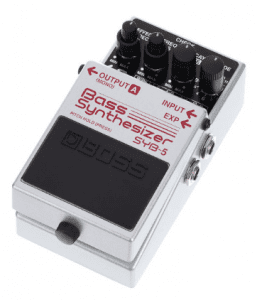 The last Thundercat pedal we will review is the Boss SYB-5. This piece of hardware manages to reproduce the sound of classic synthesizers. This, which has been tried for decades, has been achieved by Boss with unprecedented success, recovering all the nuances and nooks and crannies of the old synthesizers. The SYB-5 offers 11 wave variations. In addition, it is possible to control the cutoff frequency and the LFO through the optional Roland EV-5 expression pedal. Another of its many virtues is the ability to hold a note while playing an overlay bass line, allowing you to record very complex structural solos. 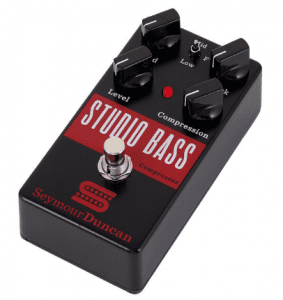 In closing, we’d like to highlight a few other bass pedals that, although not among Thundercat’s favorites, deserve our review. 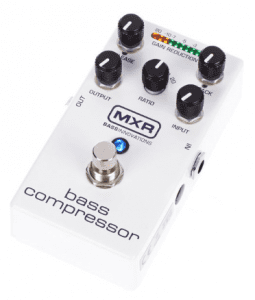 Examples include the MXR M 82 Bass Envelope Filter, tc electronic SpectraComp compressor, Seymour Duncan Studio Bass, MXR M87 or Keeley Bassist Compressor. Thundercat‘s trajectory teaches us that it is very difficult to generate any kind of music without a restless, awakened and meticulous mind. 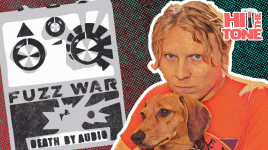 After listening to his productions and bass lines, it seems impossible to think that any musical genre or trend escapes his musical training. Also, another conclusion we can draw is the need to adapt your equipment to what you want to do. As we said before, all the instruments reviewed in this article share two characteristics: versatility and retro aftertaste, just two terms that can be used to define Thundercat’s music.